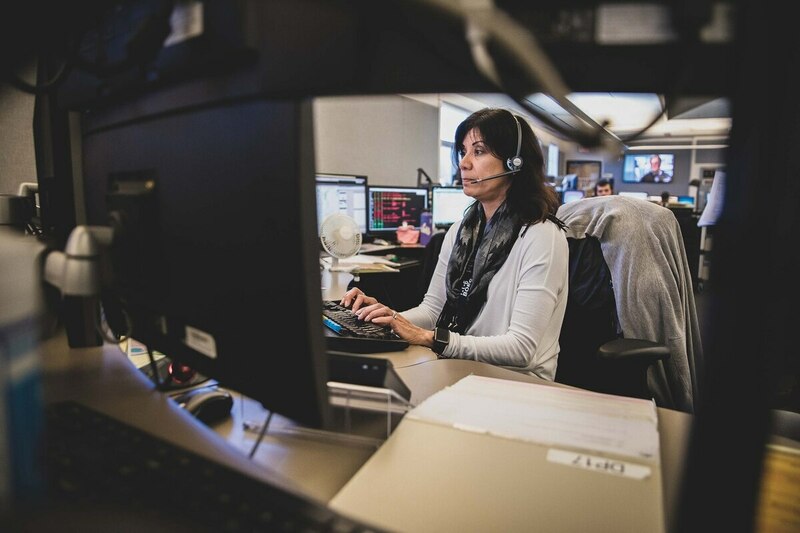 911 Dispatchers Seek to Join Police Union: Employees at the Bureau of Emergency Communications filed paperwork this month to decertify the American Federation of State, County and Municipal Employees as their union and seek representation by the Portland Police Association instead. The Oregonian reported in January that the police union had distributed letters courting the 911 dispatchers. Now the dispatchers have filed the form required to leave AFSCME so they can vote on unionizing under the PPA. Expanding the police union would make it a more powerful force in the city. Dispatchers have long been frustrated by wages, understaffing and being shuffled between new commissioners, says Joe Baessler, political director of Oregon AFSCME Council 75. Police union president Daryl Turner did not respond to a request for comment. Brown Spreads the Pain on PERS: Two long-awaited policy proposals dropped in Salem last week. On April 11, lawmakers led by state Sen. Mark Hass (D-Beaverton) and Rep. Nancy Nathanson (D-Eugene) finally released their plan to raise about $1 billion a year in new taxes on corporations, while lowering personal income taxes about a quarter of a percentage point. The next day, Gov. Kate Brown released her proposal for stabilizing government contributions to the Public Employee Retirement System. Brown's rationale: If PERS contribution rates continue to climb as projected, they would consume much of the new tax revenue, meaning taxpayers would not see any benefits in the form of more teachers or added public services. The governor is calling on public employees to contribute to their pensions; taxpayers to surrender their kicker refunds; and state-owned workers' comp insurer SAIF to fork over $486 million in excess reserves. Meanwhile, Brown hopes capital gains and estate taxes boom. She says her plan is based on "shared responsibility by both employees and Oregonians, with every party contributing to address the unfunded liability in a proportional way." Board Member Intoxicated at School Event: A Parkrose School Board member showed up visibly intoxicated at a Feb. 6 film screening and an equity discussion, both school events. Board Chairwoman Sara Kirby said witnesses reported board member Dave Carter "stumbling, slurring his speech and speaking in nonsensical, incoherent language." He publicly apologized at a board meeting the following week, saying he had "really wanted to watch this film and participate in the equity meeting." He explained that he suffers from back spasms and had taken muscle relaxers and drunk a glass of wine earlier that afternoon to remedy the pain. He said in hindsight he should have "stayed home and rested." The Parkrose School District covers portions of East Portland. Kirby says no disciplinary action has been taken against Carter, and the incident hasn't been reported until now. Give!Guide is Now Accepting Applications: Do you know an effective Portland nonprofit looking for exposure? Tell it to apply for Give!Guide's 2019 fundraising campaign! Give!Guide is also accepting nominations for the Skidmore Prize, which awards four under-35 nonprofit employees with $4,000 and a profile in the Give!Guide magazine. Learn more about both opportunities at giveguide.org.